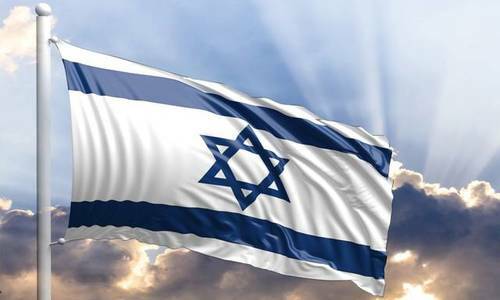 May 14, 2018, is the 70th anniversary of the founding of the modern nation of Israel. The existence of the nation of Israel today is truly the biblical God’s doing. Israel, through Abram, whose name was changed to Abraham, was promised to have a land, a seed, and be a blessing. Those who blessed Abraham’s seed would be blessed, and those who cursed Abraham’s seed would be cursed, while through Abraham all the families of the earth would be blessed (Gen. 12:1-3). Now Israel has a small portion of the land promised to Abraham (cf. Gen. 15:18). During Christ’s reign on earth, in the millennial time, Israel will experience the fullness of that promise. The seed aspect of the promise came true in Jesus Christ, who is of the seed of Abraham (Matt. 1:1-2). The blessing part of the promise came true in that the gospel of Jesus Christ is being proclaimed to the whole world, which gospel individuals participate in through faith in Jesus Christ (Gal. 3:8-9,16). Regardless of men’s ideas today, the biblical God is working out His plan for Israel and the world. He is in control, and is offering His grace and forgiveness to anyone who will come to Jesus Christ and respond to Him in faith. What have you done with Jesus Christ? (cf. Rom. 10:9-13). If you know Jesus Christ personally, thank Him that you are part of His world-wide plan to further His kingdom by sharing His gospel with others, as you serve Him with the hope of being with Him forever. Paul Bawden is married and served in the pastoral ministry for 45 years, retiring in 2011. He graduated from the University of Wisconsin-Madison with a B.A. in Speech and attended Dallas Theological Seminary, receiving a Master of Theology. He has taken counseling courses at Trinity Evangelical Seminary in Deerfield, Illinois. Paul is a lifetime member of the Evangelical Free Church of America, as well as being a member of Interim Pastor Ministries (IPM), which serves churches during their time of transition in searching for a new pastor. He writes for Union Gospel Press, as well as being a volunteer writer for GotQuestions.org. Paul likes to write, read, bike, and work in the yard. The Bawdens have had the privilege to travel to Mexico and Romania on mission trips and visited various countries in Europe.